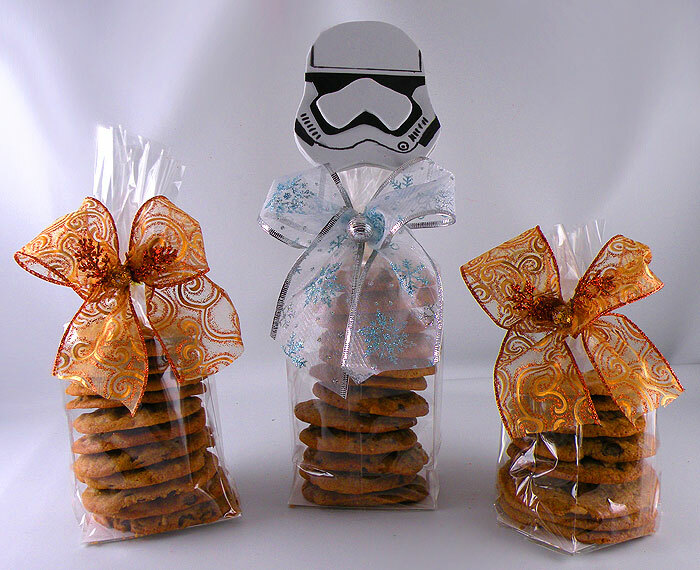 I love giving fresh baked cookies in decorative cookie gift bags. If there is someone on your list that you haven’t seen yet or you just want to give an extra gift to a neighbor or friend, these decorated cookie bags make a nice and festive gift. They are pretty easy to make and I made a video showing how to quickly make them. I will be posting a video this week on how to make the Storm Trooper accent. This entry was posted in Food, Gift Wrapping, Holidays and tagged cello bags, cookie gift bags, cookie gift ideas, cookie gifts, decorated cello bags. Bookmark the permalink.